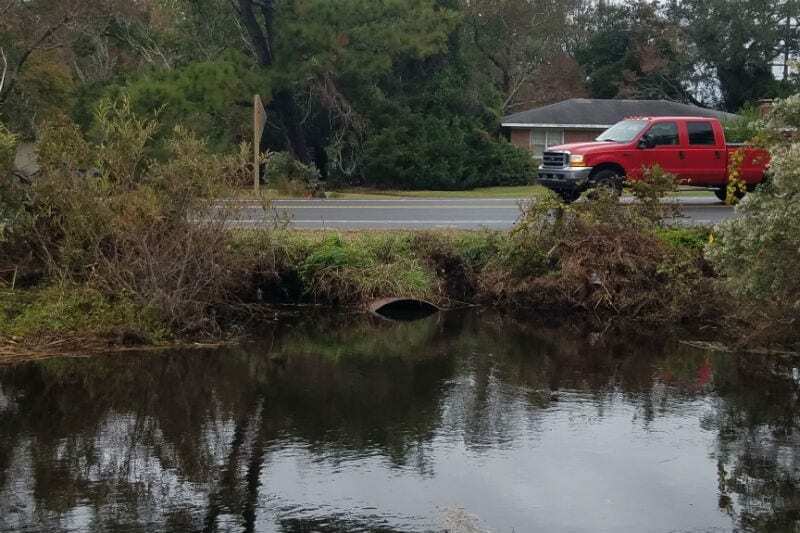 The North Carolina Department of Transportation will replace pipes that run under Kitty Hawk Road at two different locations this month, requiring the closure of the main thoroughfare through Kitty Hawk Village for a total of two weeks. From Monday, Nov. 12 at 7 a.m. to Saturday, Nov. 17 at 6 p.m., Kitty Hawk Road will be closed between Shelby Avenue and Moor Shore Road, just west of Holy Redeemer Catholic Church. This work will not impact the Outer Banks Marathon course. Kitty Hawk Road will then be closed from Monday, Nov. 26 at 7 a.m. to Saturday, Dec. 1 at 6 p.m. between Elijah Baum and Herbert Perry roads, west of Kitty Hawk United Methodist Church. Emergency traffic will not be able to travel through the work zone during the closures, and all traffic will have to use U.S. 158 and The Woods Road as a detour.